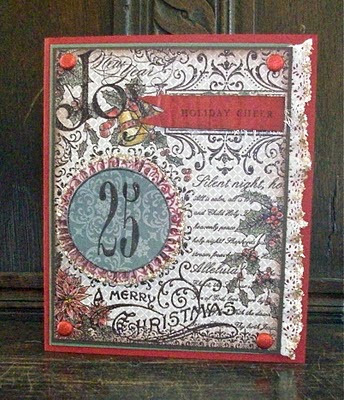 This is probably the most beautiful card that I've ever made -- it's gloriously Victorian! 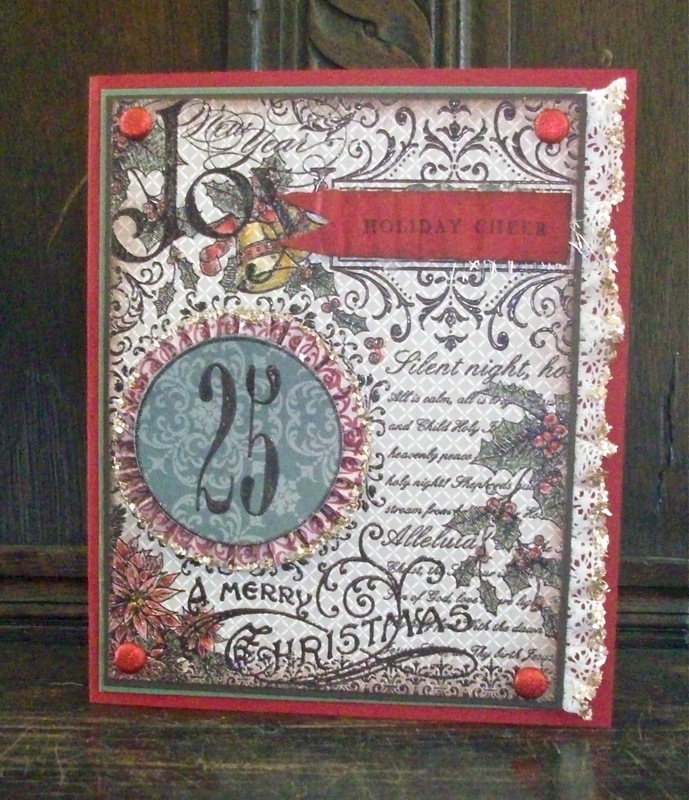 I stamped Christmas Collage on the Crumb Cake/Vanilla trellis pattern in Chocolate Chip craft ink, then clear embossed it. I wanted the design to really pop against the muted background. Then I watercolored the holly leaves and the poinsettia, adding a few gold beads for the center of the large poinsettia. The frill around the 25 was scored on 1/8", then the edge was glittered. The sentiment came from Heritage Holiday, then pleated roughly. Stunning! You always amaze me with your creations. Beautiful victorian design. First poinsettia of the season!